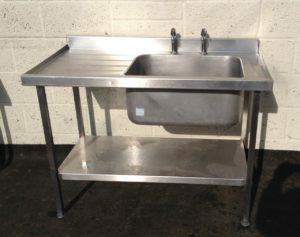 Stainless steel, corner aspect, left hand entry dish wash sink with splash back to the left sided return and behind the sink. 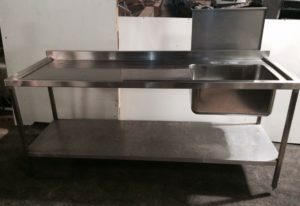 Complete with Pre-Rinse Spray. 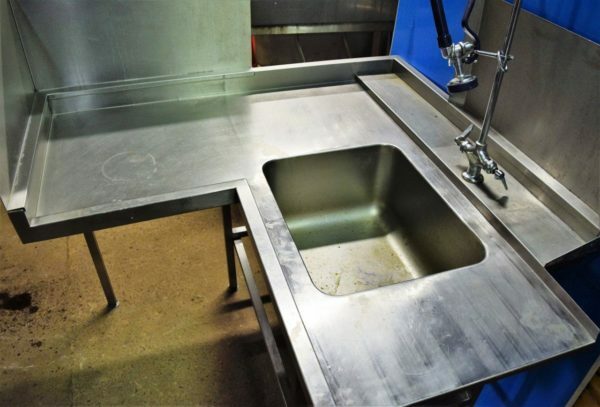 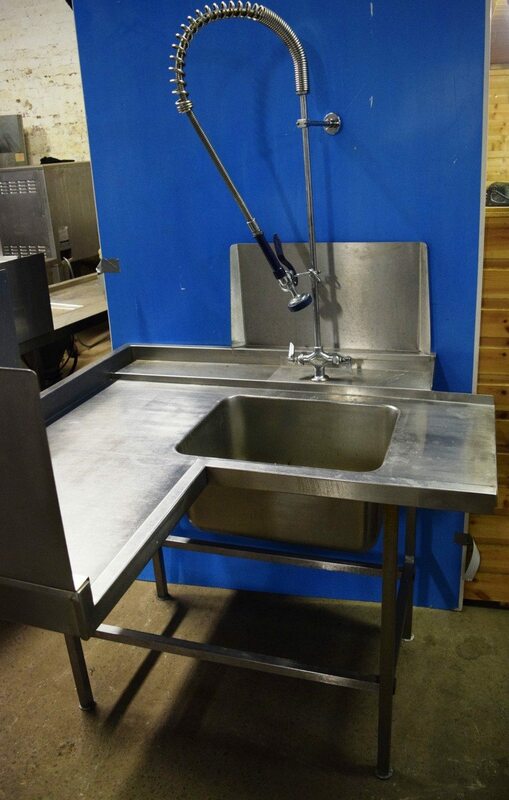 This sink is in fantastic condition and ideal for a pass through or conveyor dish washer.